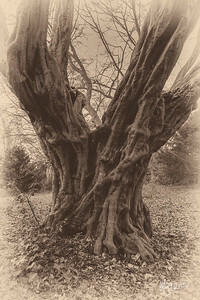 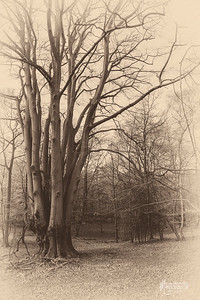 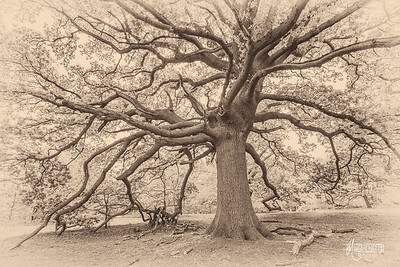 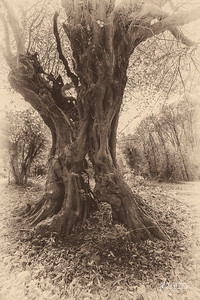 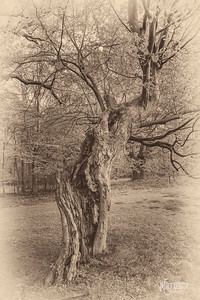 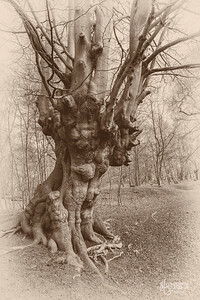 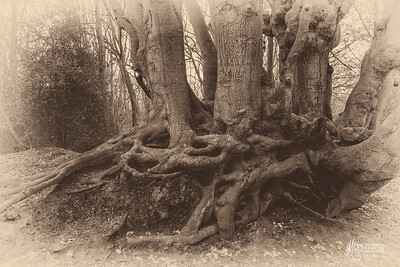 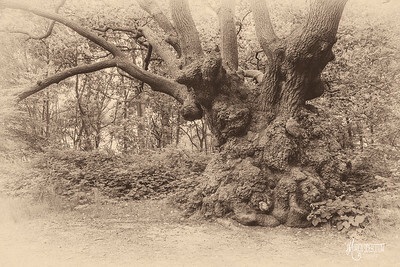 There are so many incredible trees in Epping Forest that some visitors fail to notice the individual character trees. 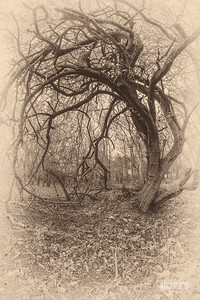 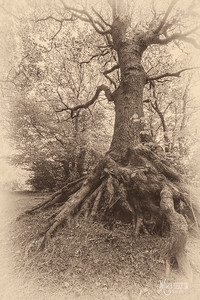 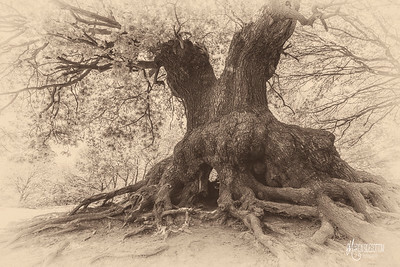 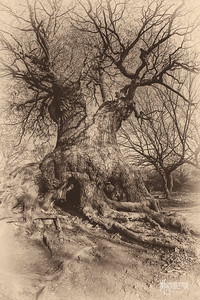 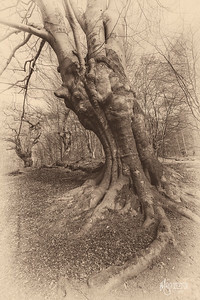 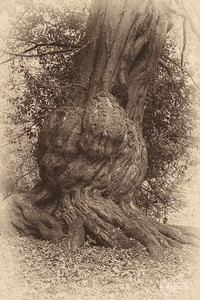 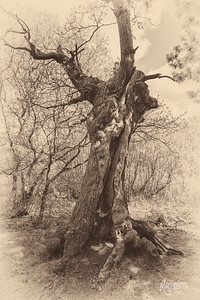 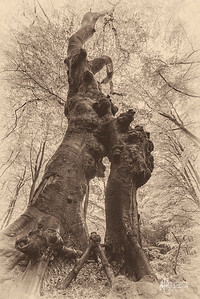 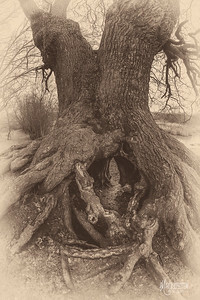 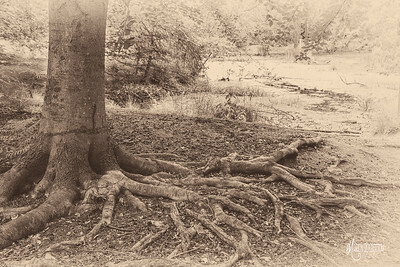 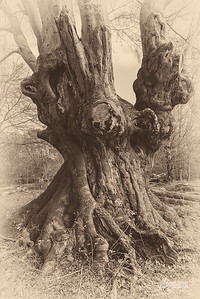 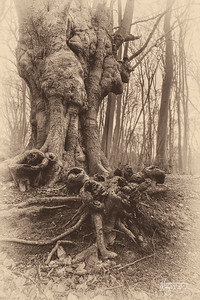 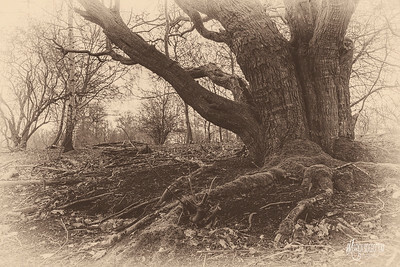 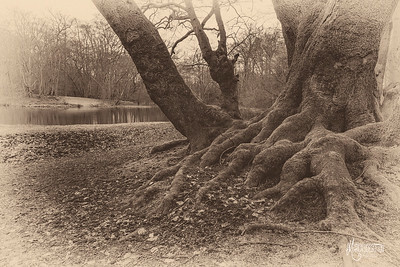 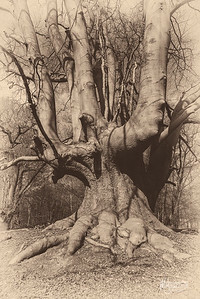 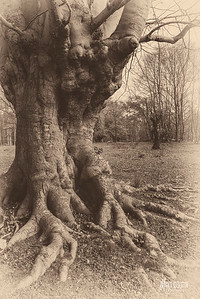 This is a collection of sepia portraits of some of the ancient trees in Epping Forest and is an ongoing collection during my artist residency. 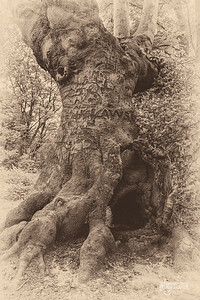 They are designed to have a timeless almost Victorian Gothic feel to them. 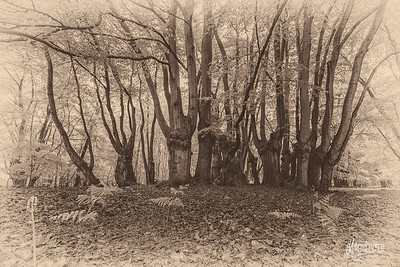 I have stripped the trees back to their naked shape and form by fading out the background and removing distracting colours to reveal their individual characters. 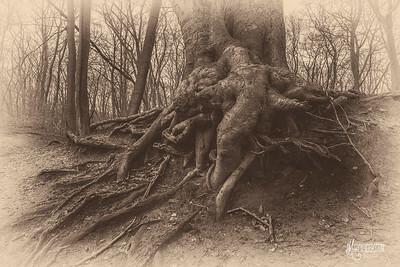 I am recording the forest at a point in time before it undergoes environmental change. 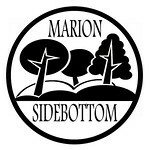 Many of these trees are hollow and fragile and one has already lost a large limb and another was targeted by arsonists since this project started.